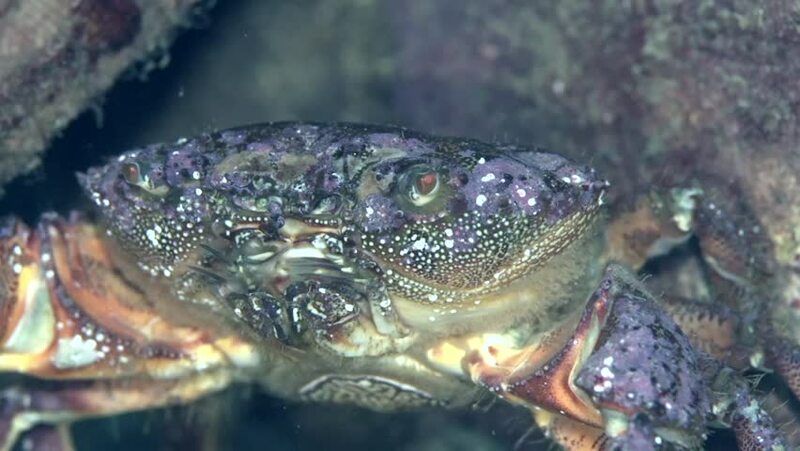 hd00:10Warty crab (Eriphia verrucosa) on the stone, close-up. Black Sea. Ukraine. hd00:17Marine decapods Warty crab (Eriphia verrucosa) separates the shell and put it in your mouth, close-up. Black Sea. Ukraine. hd00:16Marine decapods Warty crab (Eriphia verrucosa) crawls through the frame, close-up. Black Sea. Ukraine.